A 42oz. supply of New Bond St., a modern, gourmand oriental scent, featuring notes of citrusy bergamot, pepper and dewy muguet, soothing cocoa, high-energy coffee beans and creamy chestnut, lingering patchouli, vanilla and sandalwood, mingled with feral leatherwood. 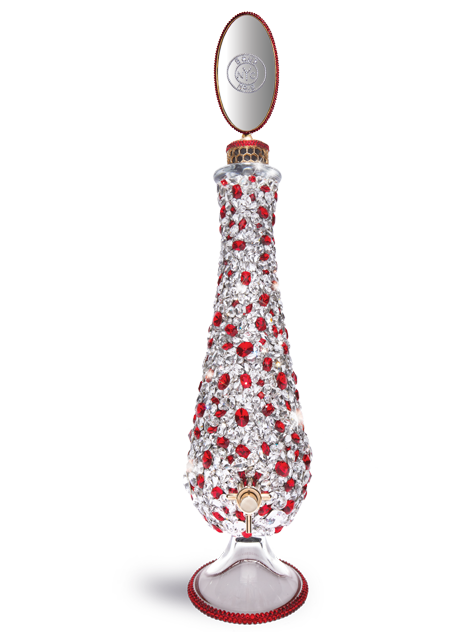 The New Bond St. Amphora glimmers with over 3,000 shimmering Swarovski crystals in luminous light siam and crystal Fanci-Stones.